Quakerism is a religious faith with Christian roots that began in the 1650s in England. The formal title of the movement is ‘The Religious Society of Friends’. Quakers believe that every person has within themselves something of God. This understanding gives support through the challenges of daily life. Quakers believe that all human beings are equal, worthy of respect and contain goodness and truth. To find out more about Quakerism please visit www.quaker.org.uk you can also visit www.centralenglandquakers.org.uk to find out about Quakerism and Quaker events within the Midlands area. 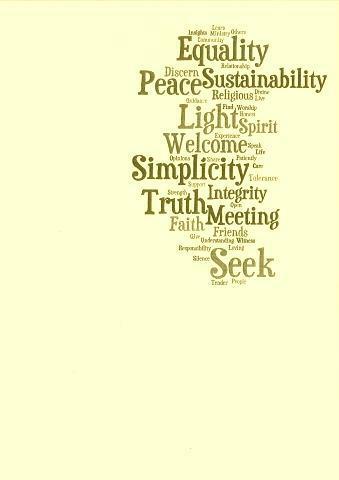 Quakers try to live simply and sustainably, promoting peace, equality and truth. Putting faith into action is central to their way of life and they gather weekly for worship, on a Sunday. Quaker Meetings for Worship take place in ‘meeting houses’ and meetings for worship are open to all. Silence is a key part of meetings for worship and provides an opportunity for people to get closer to God.
" True silence is to the spirit what sleep is to the body, nourishment and refreshment "
Woodlands Quaker Home is open to all regardless of denomination. Penn Quaker Worship Group is held every fortnight on a Sunday at 10:30am in The Sycamore Room of the main house. Attendance is entirely voluntary and all are welcome. There is a short period of silence before mealtimes in the dining room, as a time for prayer or quiet reflection.